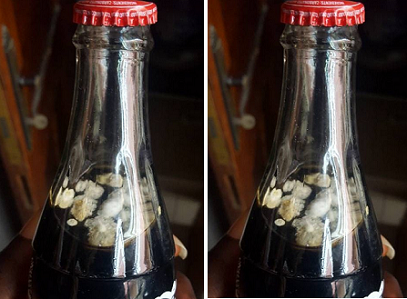 A Nigerian lady Olabisi Cole, took to Instagram to reveal what she found inside a bottle of coke. Guys be careful, we found this in a crate of coke this morning. I just cant imagine drinking this. But how did it get in there tho?